Ever wonder what country's flag that is flying on the boat in the neighboring mooring? 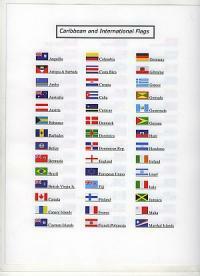 This guide will help you identify the nationalities of your neighboring boats. 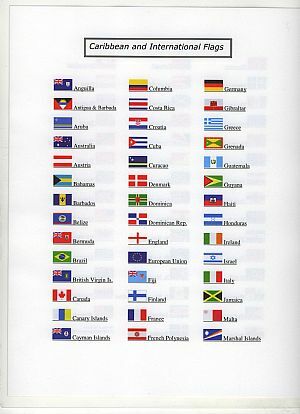 This laminated color card contains 86 Caribbean and International Flags.